Thank your for your answers. 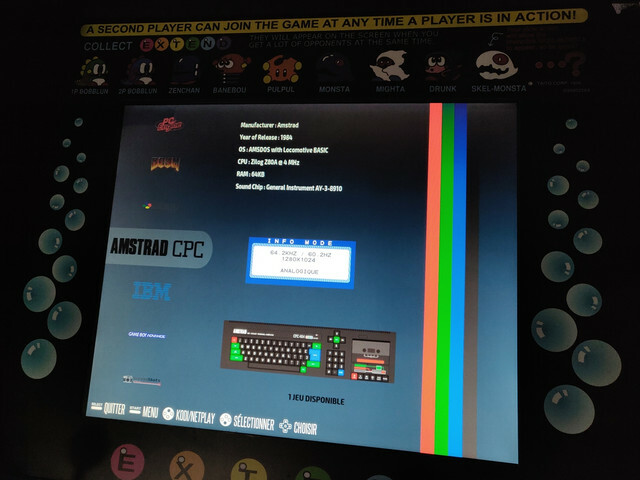 For the moment I'm just trying to have mame, libretro or snes games running in full size of my screen (19" 5/4). I've read the README on your github (the one included in the .zip file) but I don't really find my answers. I'm not sure of the settings I should change at first. 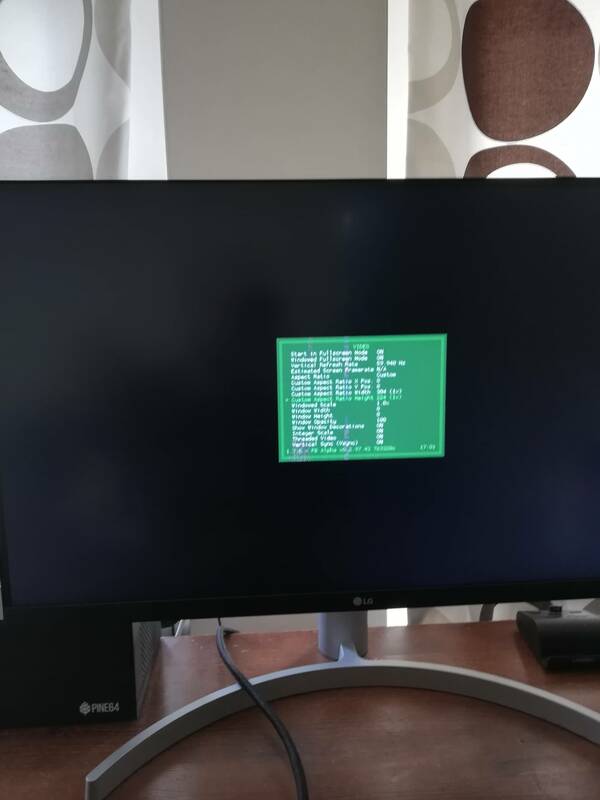 Concerning the extlinux.conf file, should I remove video=HDMI-A-1:[email protected] like Luke told me ? Or should I just wait for the next release ? Removing the setting should just force the display to whatever the maximum detected resolution should be. And you're right, I'm sorry, I was thinking about the write-up in my latest release for the rock64, not the pro. I'd encourage you to put video=HDMI-A-1:[email protected] back in for your purposes. 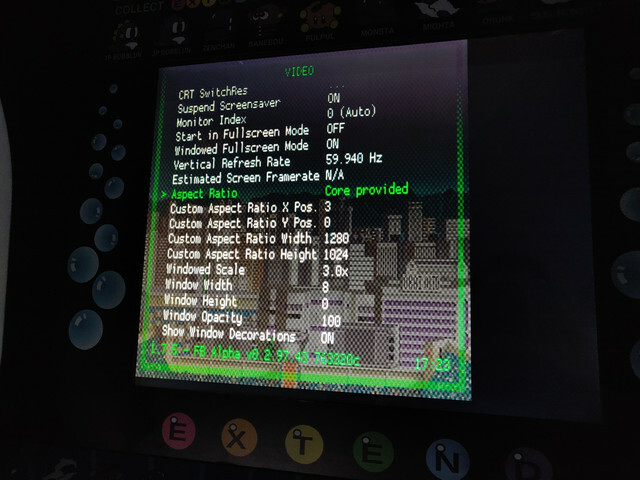 And you can try setting the aspect ratio inside the recalbox menu to see if it gets carried down to the libretro cores. 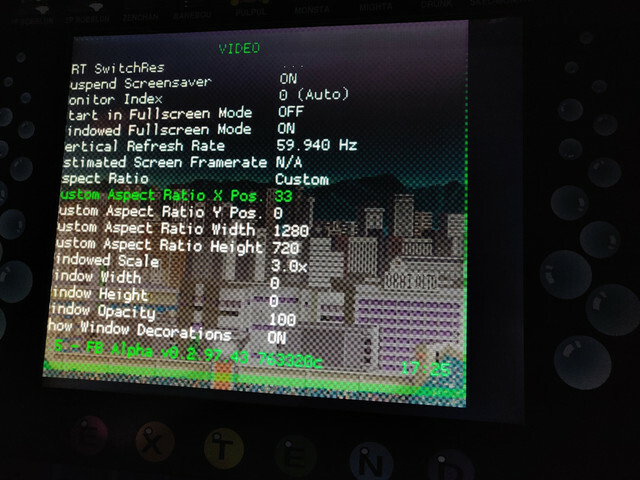 You can also try different aspect ratio settings from inside a libretro core that's running by hitting the hotkey + X and then backing up the the settings->video section and cycling thru the different aspect ratios until you find one that's best for your needs. I've made some screenshots to be clear. The splash screen is cut surely because it's meant to be on full HD screens but it's not an issue for me. I'll try find time tonight to help you out - tomorrow at the latest. pimseb: thanks for the post! I expect that At that resolution You're probably going to have black bars somewhere on the display no matter what you do in order to get the correct aspect ratio without cutting the image off . It needs to render at 4:3 usually. Otherwise the image will look stretched. The resolution changes to 720 due to a custom setting I have included. It detects that 720 is supported so it uses it because it's an optimal resolution for performance. I'll be investigating the option to let the user pick this resolution in a later release. But I expect you should be able to get it looking pretty good on your display at 720 with some config tweaks. Luke should be able to assist for sure. Engaging Integer scaler and setting the aspect ratio to custom you can easily set custom aspect ratio height and width. Here is an example of a custom 608x448 aspect ratio 2x (first image) and below 304x224 (1x). If you turn off the integer scaler the entire rendered image should 'stick' to the top-left of your display. 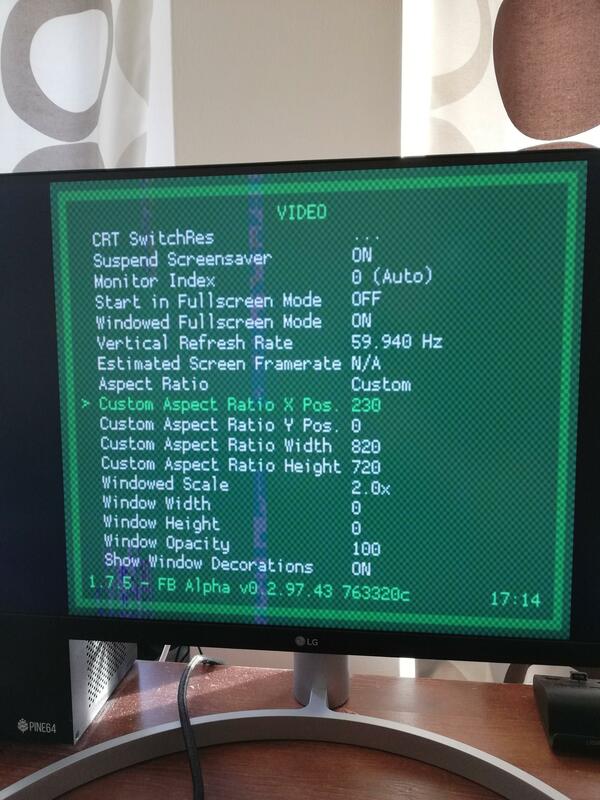 From there you can set the Aspect ratio width and height so that it works for your monitor. 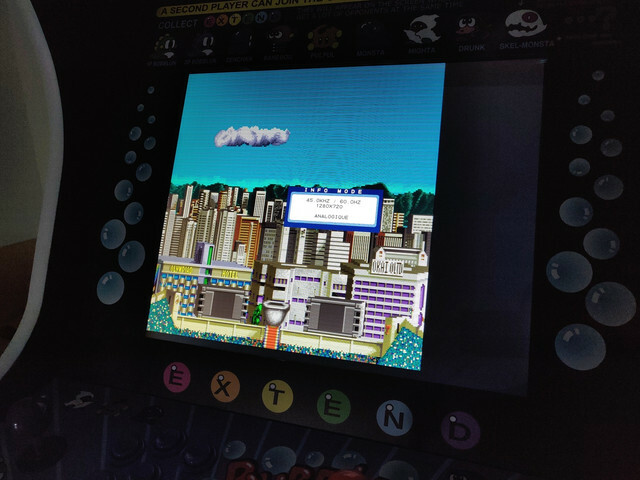 You can then use X/Y Aspect ratio position settings to center the image... in example, below is a screenshot of a custom 820x720 aspect ratio centered by adjusting X pos to 230. 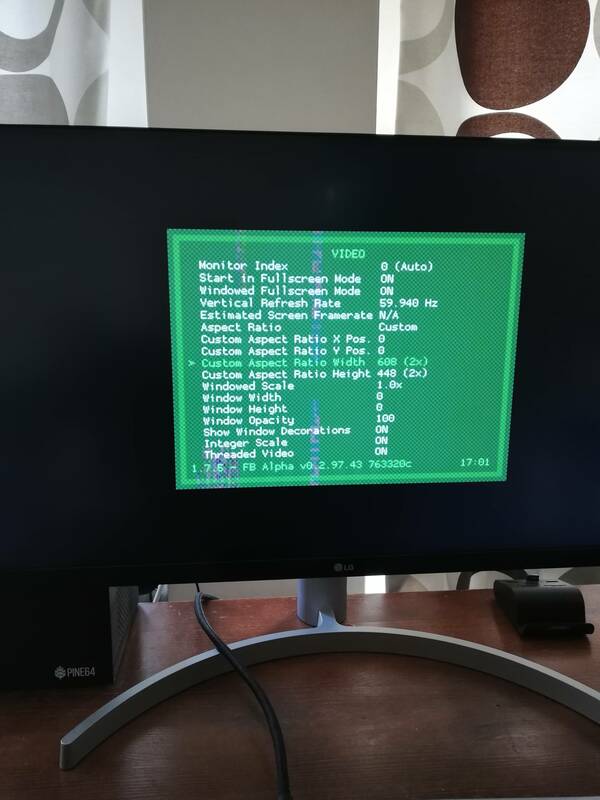 You want to use the values in this config to overwrite the default retroarch cfg that is used. After saving your .cfg, just follow these instructions from point 5 onward. The main problem is that the image is never centered at the middle of my screen like on yours. So when I change the custom aspect ratio with Integerscale=On, I do see that the image resolution changes but it goes out of the screen. If I put "Integer scale=Off", the image won't go at the top left of the screen. At the end of the video I try to put the image on the right with the ratio x position value. But you'll see that I can't go really far. 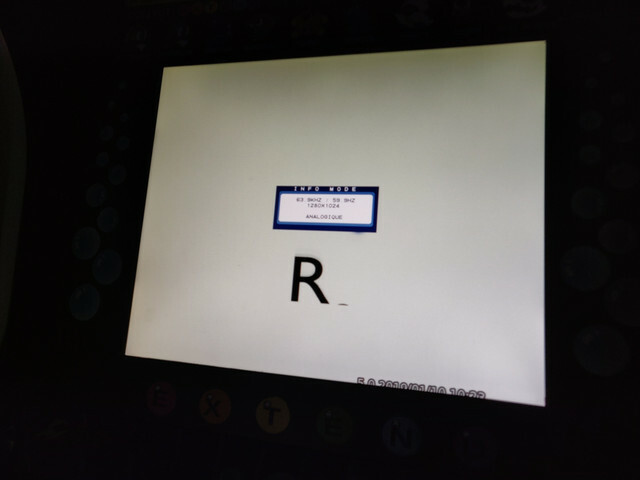 It's like if the screen was "cut" on the right side. or during the day tomorrow in the afternoon. [edit 2] pretty sure (90%) its an overscan / underscan issue - trying to figure out which flags you need and where. Release thread here. Beta thread locked.